Elaborate exhibit spaces are created at SIHH that reflect the dynamic of the brand. 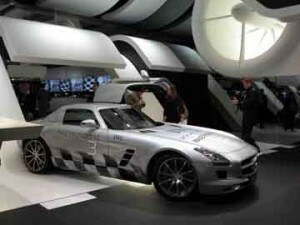 Such is the case with the IWC booth this year that recalls the partnership with AMG Petronas. As SIHH 2013, the 23rd edition of this luxury by-invitation-only watch show, comes to a close – it is important to note several key trends that emerged with the unveiling of the newest timepieces. The watches shown in Geneva during the fair last week will make their way to the market – and to discerning wrists around the globe – beginning in summer and on through the fall. 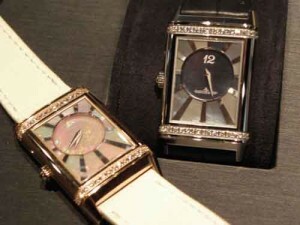 Jaeger-LeCoultre’s newest Reverso pieces with mother-of-pearl dials. 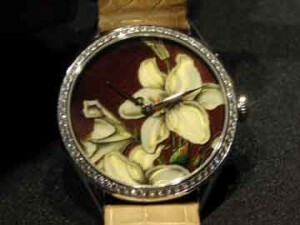 One of the newest Metiers d’ art watches for women from Vacheron Constantin. creating an entire new women’s watch collection and with Vacheron Constantin leading the pack with an exclusively female watch unveiling of magnificent scope. 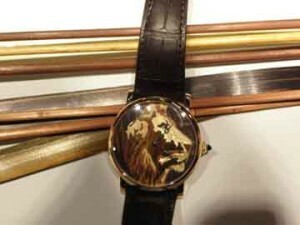 Cartier’s amazing new wood marquetry watch. Métiers d’ Arts – including a wealth of stunning new artistic dial treatments ranging from mosaics, to wood marquetry, enamel mixed with sculpture and more. This year promises to be the most artistically advanced in dials ever. Richard Mille’s new world time watch. Multi-timers and perpetual calendars – yes, for those who travel the world (or like to say they do), dual-, multi-time zone watches and GMTs are more prevalent than ever. Add to that a wealth of perpetual calendar watches emerging and we have a traveler’s delight. 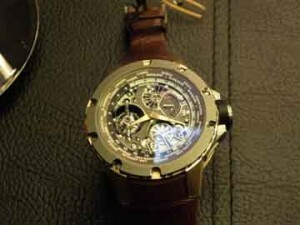 Haute Horlogerie at its Finest. It is the year for traditional watchmaking in the highest form, as several brands unveil multi- and even Grand Complication watches – with A. Lange & Sohne strutting a $2.4 million watch and Audemars Piguet releasing a Grand Comp in titanium. 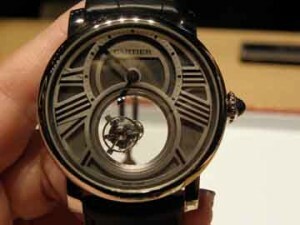 Additionally, other brands continue in their quest to finely hone the art of high horology. We will continue to unveil some of the exciting new pieces this week, as we segway back to covering watch education, news, people and reviews – until the next big show.